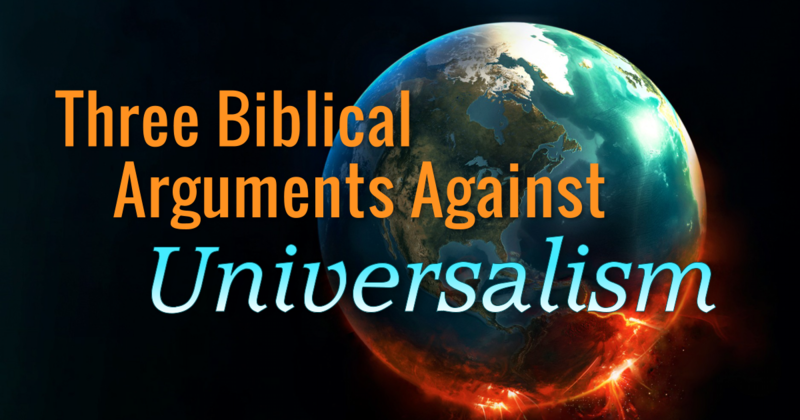 Below are three biblical arguments against universalism (and an extra one for further reading!). While they offer more than simple proof texts, it would take a much longer article to develop them more fully. Even so, I trust that you will find them useful and persuasive. Let’s first look at some relevant context, and then dive into the arguments themselves. Personal eschatology—the study of the final fate of human beings—should be embedded within cosmic eschatology, the study of the final state of God’s created order. God is redeeming the cosmos, and human beings within it (see Rom 8:18-25). Universalists and conditionalists both agree that God will redeem the cosmos as a whole. But universalists also claim that God will eventually redeem every human being that will have ever lived, while our claim as conditionalists is that God’s work of “new creation” purposefully excludes some human beings. Despite knowing enough about the immortal God and realizing that they ultimately deserve death they still reject him (Rom 1:18-23; 32). They disobey the gospel (1 Pet 4:17; 2 Thess 1:8; Rom 10:16), and so fail to respond obediently in repentance and faith to the knowledge of God and his offer of salvation (Acts 6:7; Rom 1:5; 16:26). They love sin rather than goodness, themselves rather than God, and are “disqualified regarding the faith” (John 3:20; 2 Tim 3:2-8). A related difference between the two views is that conditionalists see judgment day as a time already fixed for their destruction, making their subsequent regret and change of heart impossible (they no longer exist), whereas universalists typically see an open-ended opportunity for unsaved sinners to repent, long after judgment day. This is the common form of universalism that I’m arguing against, although my arguments may still work against other, minority forms. Typically, universalists (especially evangelicals) hold that people are judged by being cast into a hell of some description, perhaps to undergo chastisements, or at least to reflect on their predicament, during which time they may still be saved, as indeed all are due to eventually coming to repentance. Despite the difference in penultimate history between the universalist and conditionalist camps, both scenarios ultimately envision a state of comprehensive reconciliation of the cosmos and of redeemed humanity; God’s completed work of creation, untainted by any evil and triumphant over it. This argument states that after all of God’s enemies are defeated with the defeat of the last enemy, death, leading to God becoming “all in all” over a redeemed creation, no enemies can still exist as such—including human “enemies of the cross” (Phil 3:18)—nor can there be any post-defeat defeat of death in their case anyway. Universalism is ruled out because the Bible links the timing and mode of this defeat of death to the immortalizing resurrection of believers. According to 1 Corinthians 15:42-55, the believer’s resurrection, when “the perishable puts on the imperishable, and the mortal puts on immortality,” is the moment when death itself is defeated, that is, “swallowed up in victory.”1As I survey in my next article at Rethinking Hell, the Bible categorically distinguishes between the redemptive transformation of believer’s resurrection, and the resurrection of unbelievers. The former is one of honor and glory in life, incorruption, and immortality, while the latter is one of shame and condemnation, in corruption and mortality. This conquest is grounded in the vision of new creation, when there “will be no more death or mourning or crying or pain, for the old order of things has passed away” (Rev 21:4 cf. Isa 25:8). But as 1 Corinthians 15:24-28 makes clear, “The last enemy to be destroyed is death” (v26), leaving no more enemies in existence. We are told in this passage that Jesus is right now reigning over “all things,” until he has finally “put all his enemies under his feet” (v25). Only after “destroying every rule and every authority and every power” (v24) does the consummation of salvation history occur, when Jesus submits himself and his rule to God the Father, “that God may be all in all” (1 Cor 15:28 cf. 24). This is precipitated, we are told, by the victory over death demonstrated in the immortalization of believers, which makes them fit for eternal life in the new creation, signaling the destruction of the final enemy, death. The fact that death is utterly defeated at this point means that it is not subsequently defeated gradually, as unbelievers—who were already resurrected but not made immortal in a victory over death—progressively confess Christ. On universalism, they still remain in mortal corruption, just as they are now. Moreover, since all enemies are destroyed by the time Jesus hands cosmic rule over “all things” to the Father, to have been among the “enemies of the cross” (Phil 3:18) is to have already been destroyed. Therefore, the mode and timing of the defeat of God’s last remaining enemy in 1 Corinthians 15:26, and the commensurate absence of any enemy in a fully reconciled creation, rules out universalism. This argument states that since the rationale given in 2 Peter 3:9 is that God is being patient by delaying the day of judgment, “not wishing that any should perish, but that all should reach repentance,” this delay expires when judgment day occurs, along with the related opportunity for repentance, thus ruling out universalism.2It’s not my intention to refute the universalist claim that God’s desire here is being expressed unconditionally, with a kind of mathematical literalness suggesting that anything less than universal salvation makes God powerless to achieve His own will. However, the reader is invited to consider that the reading of the passage presented here mitigates against abstracting the statement in that way. 2 Peter 3:9 contains a general statement that isn’t meant to be a comprehensive disclosure of God’s sovereign will, which is often conditional and qualified by other things God also wills. In 2 Peter 3, the apostle encourages believers to pursue holiness while “waiting for and hastening the coming of the day of God,” the dawning of “the day of eternity” (2 Pet 3:12, 18). This eternal age will fulfil God’s promises of “new heavens and a new earth in which righteousness dwells,” given through the prophets and apostles (2 Pet 3:13 cf. 2-4).3Many assume that this involves the creation of brand new places called heaven and earth, such that the present heavens and earth will be obliterated. But Bible scholars and commentators are increasingly arguing that it is only the world in its present form that is passing away (1 Cor 7:31), the foundations of which will remain in order to be redemptively renewed. God is patient rather than slow, and we are to “count the patience of our Lord as salvation” (v15). The purpose of the delay, then, is so that more may repent and not perish. In theory, the delay could have been indefinite, so that all may eventually repent (universalism) and none may perish—but the logic of the passage indicates that in practice God’s will is more particular and conditional. Paul taught that God “has fixed a day on which he will judge the world” (Acts 17:31). Jesus taught that the day of the Lord would take many by surprise, and would come like a thief in the night (Matt 24:36-44). This is reiterated in Revelation 16:15, and 1 Thessalonians 5:2-4, where like a thief in the night the day of the Lord will overtake those who are in darkness, and “sudden destruction will come upon them . . . they will not escape.” It is also reiterated right here, immediately after Peter explains the delay: “But the day of the Lord will come like a thief . . . ” (2 Pet 3:10). Therefore, the rationale for a limited postponement of “the day of judgment and destruction of the ungodly” (2 Pet 3:7), as given in 2 Peter 3:9, rules out the opportunity for repentance beyond that same event, and hence rules out universalism as well. Postscript: Although this is not part of my argument here, we should note how chapters two and three speak of this destruction: false prophets and teachers lead many astray, “bringing upon themselves swift destruction . . . their condemnation from long ago is not idle, and their destruction is not asleep” (2 Pet 2:1-3). They, “like irrational animals, creatures of instinct, born to be caught and destroyed, blaspheming about matters of which they are ignorant, will also be destroyed in their destruction, suffering wrong as the wage for their wrongdoing” (2 Pet 2:12, 13). But the true teaching is found in the Scriptures, “which the ignorant and unstable twist to their own destruction” (2 Pet 3:16). These are the false teachers who scoff about the return of the Lord, and who will be unready and overtaken by “the day of judgment and destruction of the ungodly” (2 Pet 3:7). According to the flow of the passage, they are designated for destruction/perishing in order that the new creation era may commence and be characterized by righteousness (2 Pet 3:13 cf. Matt 13:43). Or, in the language of Hebrews 12:27, “in order that the things that cannot be shaken may remain.” This explanation from the broader context includes the conditionalist argument that 2 Peter 2:5-7 says point blank that just as God destroyed the ancient world of the ungodly but saved the righteous Noah, God also destroyed the land of Sodom and Gomorrah (by the agency of “eternal fire,” cf. Jude 7) but rescued righteous Lot, and this extinction is “an example of what is going to happen to the ungodly” in the end (see also Luke 17:26-33)—but the godly will again be rescued and remain, this time forever. This argument states that a crisis of judgment between the present age and the coming age results, according to Hebrews 12:27, in the “removal” of everything that does not belong to the eternal “kingdom that cannot be shaken,” “in order that” everything that does belong “may remain.” Among human beings, only believers belong to the unshakable kingdom; hence, all others are excluded from the age to come, and universalism is ruled out. Hebrews 12:27 falls within the passage of Hebrews 12:18-29, which draws to a climax an extended discussion that had been building at least since Hebrews 9. We are told there that Jesus appeared “at the end of the ages” to purify and sanctify his people, securing for them an “eternal redemption” for “the promised eternal inheritance” (vv. 26, 12, 15). The earthly tabernacle was a copy and shadow of the true tabernacle in heaven (Heb 8:5 cf. v2; Heb 9:23-24), and Jesus has offered himself as a living sacrifice to gain access to the holy places “in heaven itself” (9:24). But the way is not yet opened to us on earth “as long as the first section is still standing (which is symbolic for the present age)” (9:8). The implication of the present age being a barrier in the cosmic temple, is that the age to come involves full access to God, in a sense uniting the heavens and the earth. The temple access motif is still in play throughout chapter 10, which speaks of “those who draw near” to God, such that without a sacrifice for sins, there is “a fearful expectation of judgment, and a fury of fire that will consume the adversaries” (Heb 10:1, 27). It concludes that in approaching God, “we are not of those who shrink back and are destroyed, but of those who have faith and preserve their souls” (Heb 10:39). Hebrews 11:1—12:17 is an excursus about that faith and its pursuit of the blessed inheritance. In this context, Hebrews 12:18-29 describes a cosmic “shaking” event that we recognize as the day of judgment. It is patterned after the terrifying Sinai theophany, “a blazing fire and darkness and gloom and a tempest,” when “the LORD had descended on it in fire . . . and the whole mountain trembled greatly” (Heb 12:18; Exod 19:18). The concluding statement from verse 29, “for our God is a consuming fire,” wraps up the references to this awesome historic moment, when the manifest “glory of the LORD was like a consuming fire on top of the mountain” (Exod 24:17). At that time God’s thunderous voice shook the earth, but now there’s been this warning from heaven: “Yet once more I will shake not only the earth but also the heavens” (Heb 12:25-26). There is every suggestion, therefore, that God will shake the heavens and earth in the same way as before, by manifesting his glorious presence and its consuming fire. The passage explains why believers need not be afraid at that time. They belong to an unshakeable kingdom, the heavenly kingdom, so will pass through the judgment crisis unscathed. What does not belong will suffer “removal . . . in order that the things that cannot be shaken may remain. Therefore let us be grateful for receiving a kingdom that cannot be shaken . . . ” (Heb 12:27-28). The purpose and timing of this removal, therefore, rules out the subsequent existence of those who do not belong to the eternal kingdom, thus also ruling out universalism. There is another argument against universalism that could be simply expressed, but which deserves a more thorough treatment. Indeed, I have already written about it, and would love for you to consider reading this article through, as it presents an important argument for conditionalism, that is simultaneously an argument against other views. Briefly, there is every indication in the context of 2 Thessalonians 1:9 that we are meant to think of “eternal destruction” (which everybody agrees relates to final punishment) as something to occur in the same mode as old testament theophanies (appearances of God). On the day of judgment, Jesus will punish “those who are perishing, because they refused to love the truth and so be saved,” by appearing dramatically “in flaming fire, inflicting vengeance” that issues “from the presence of the Lord and from the glory of his might,” exactly as he will do that day to the figure of the lawless one, whom he “will kill with the breath of his mouth and bring to nothing by the appearance of his coming”—an unmistakable reference to theophanic destruction (2 Thess 1:7-9; 2:8-10). We should allow this passage to set its own scene, and not force into it any preconceived notions about eternal destruction supposedly taking place in a separate location we’ve called “hell.” This article, as well as its second part, argue forcefully against that view. There are some interesting philosophical arguments in favor of universalism, and some biblical passages that do speak of a future time when God will be “all in all,” as creation is no longer infected by any evil. But universalism has a core tenet that may be directly challenged, namely, its assertion that there will be an indefinite opportunity to repent and be saved beyond the day of judgment, into the everlasting age of a new heavens and earth.4Universalists will often argue or simply assume that Revelation 22:15 depicts unbelievers showing up in the new creation. However this is not part of what John sees, but belongs to a postscript to John’s vision running from verse 6 until the end, in which the vision’s symbolic terms are being used to reiterate to readers the important invitation to become part of the church, the Bride of Christ. This is symbolized by the sacred city (Rev 22:14-15 cf. 21:9-10), and is said even now to exist spiritually in heavenly realms, where believers are already enrolled (Gal 4:26; Phil 3:20; Heb 12:22 cf. Eph 2:6). 1 Corinthians 15:26, 2 Peter 3:9, and Hebrews 12:27 (as well as 2 Thessalonians 1:9) give good reason to seriously doubt that scenario, if not to reject it outright. Together, they present a picture of a climax to redemptive history in which—through means of those climactic events of resurrection and judgment—nothing and nobody persists beyond that point, should they be judged not to belong to the new creation.5This paradigm of exclusive belonging to the future age can be fleshed out further through certain passages. In Luke 20:34-36, for example, Jesus refers to those “who are considered worthy to attain to that age and to the resurrection from the dead . . . for they cannot die anymore . . . being sons of the resurrection.” Or in Matthew 13:36-43, where Jesus interprets the Parable of the Weeds to say that at the end of the age, reaper angels will “gather out of his kingdom all causes of sin and all law-breakers, and throw them into the fiery furnace.” After the “sons of the evil one” are so removed, the righteous “sons of the kingdom” will flourish in God’s kingdom. This explanation is soon followed by the Parable of the Net, which is overtly parallel to it (Matt 13:49-50 cf. 13:39-42), and likens the coming kingdom to keeping good fish and throwing away the bad, at the end of the age. Jesus often spoke of the kingdom in terms of the prophecies in Daniel 2 and 7, where at first the kingdom rule was given to Nebuchadnezzar (Dan 2:31-45), yet after successive worldly kingdoms is given to the Son of Man as a conquering “dominion and glory and a kingdom” that will last forever (Dan 7:14; cf. vv. 18, 26–27). In the prophetic imagery, a stone cut without human hands demolishes an idol (which are made by humans), and then the stone of the Son of Man’s kingdom grows to fill the whole earth (Dan 2:31-35). This is also prophetically realized in Revelation 11:15. 1. 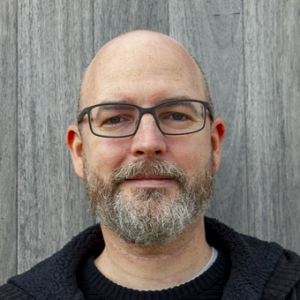 ￪ As I survey in my next article at Rethinking Hell, the Bible categorically distinguishes between the redemptive transformation of believer’s resurrection, and the resurrection of unbelievers. The former is one of honor and glory in life, incorruption, and immortality, while the latter is one of shame and condemnation, in corruption and mortality. 2. ￪ It’s not my intention to refute the universalist claim that God’s desire here is being expressed unconditionally, with a kind of mathematical literalness suggesting that anything less than universal salvation makes God powerless to achieve His own will. However, the reader is invited to consider that the reading of the passage presented here mitigates against abstracting the statement in that way. 2 Peter 3:9 contains a general statement that isn’t meant to be a comprehensive disclosure of God’s sovereign will, which is often conditional and qualified by other things God also wills. 3. ￪ Many assume that this involves the creation of brand new places called heaven and earth, such that the present heavens and earth will be obliterated. But Bible scholars and commentators are increasingly arguing that it is only the world in its present form that is passing away (1 Cor 7:31), the foundations of which will remain in order to be redemptively renewed. 4. ￪ Universalists will often argue or simply assume that Revelation 22:15 depicts unbelievers showing up in the new creation. However this is not part of what John sees, but belongs to a postscript to John’s vision running from verse 6 until the end, in which the vision’s symbolic terms are being used to reiterate to readers the important invitation to become part of the church, the Bride of Christ. This is symbolized by the sacred city (Rev 22:14-15 cf. 21:9-10), and is said even now to exist spiritually in heavenly realms, where believers are already enrolled (Gal 4:26; Phil 3:20; Heb 12:22 cf. Eph 2:6). 5. ￪ This paradigm of exclusive belonging to the future age can be fleshed out further through certain passages. In Luke 20:34-36, for example, Jesus refers to those “who are considered worthy to attain to that age and to the resurrection from the dead . . . for they cannot die anymore . . . being sons of the resurrection.” Or in Matthew 13:36-43, where Jesus interprets the Parable of the Weeds to say that at the end of the age, reaper angels will “gather out of his kingdom all causes of sin and all law-breakers, and throw them into the fiery furnace.” After the “sons of the evil one” are so removed, the righteous “sons of the kingdom” will flourish in God’s kingdom. This explanation is soon followed by the Parable of the Net, which is overtly parallel to it (Matt 13:49-50 cf. 13:39-42), and likens the coming kingdom to keeping good fish and throwing away the bad, at the end of the age. Jesus often spoke of the kingdom in terms of the prophecies in Daniel 2 and 7, where at first the kingdom rule was given to Nebuchadnezzar (Dan 2:31-45), yet after successive worldly kingdoms is given to the Son of Man as a conquering “dominion and glory and a kingdom” that will last forever (Dan 7:14; cf. vv. 18, 26–27). In the prophetic imagery, a stone cut without human hands demolishes an idol (which are made by humans), and then the stone of the Son of Man’s kingdom grows to fill the whole earth (Dan 2:31-35). This is also prophetically realized in Revelation 11:15.